When most people think of a law career, they picture the courtroom and passionate advocacy. Ranking No. 1 for Trial Advocacy for the last 14 consecutive years and 21 times overall, Stetson Law is where you need to be if you're passionate about litigation. Stetson University College of Law offers students a unique opportunity to study and gain experience in Advocacy. Graduate with the persuasive techniques and experience you need to ethically and skillfully represent clients at all stages of the trial process. The future you've always dreamed of starts at Stetson Law. 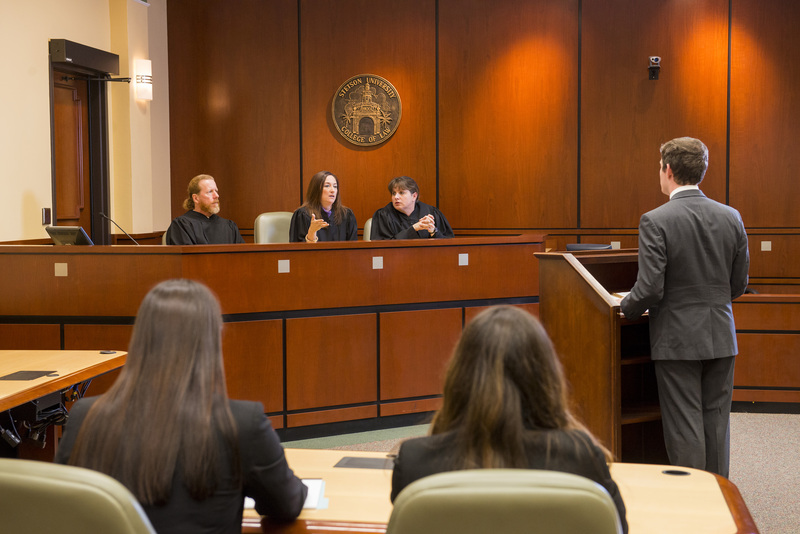 We prepare students to walk into the courtroom with confidence and expertise, and that begins not only with world-class faculty and state-of-the-art courtrooms, but with the drive of fellow peers. Stetson students have the opportunity to participate on award-winning competition teams. Find inspiration in the drive to succeed and admiration of your peers. Feel at home in the courtroom as you push yourself alongside top students. Feed your drive to win. Moot Court Board: Competing in constitutional law, criminal procedure, environmental law, international law, veterans' affairs, tax and workers' compensation. Participate with National Moot Court Champions. Trial Team: First place winners in more national level trial competitions than any other law school in the nation. Join the 2015 National Trial Team champions. Alternative Dispute Resolution Board: Competing in the areas of client counseling, negotiation, mediation, and arbitration. Compete alongside the National Dispute Resolution Championship Team.